The cold temperatures experienced yesterday in many areas and the cold temperatures expected tonight could damage the wheat crop. 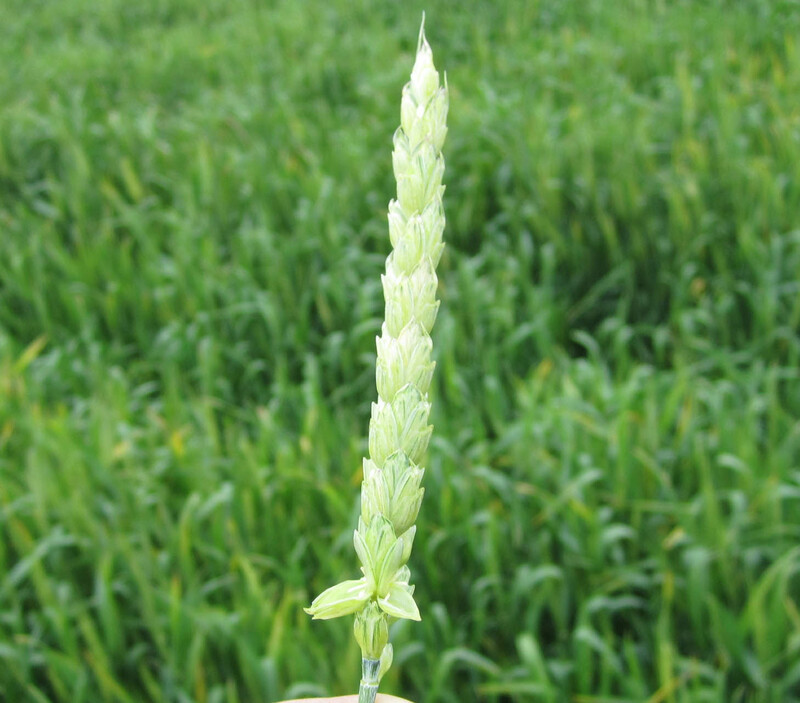 Wheat in the boot or heading stages generally needs temperatures at or below 30 F (-1.1 C) for at least two hours to cause severe damage. The Kentucky Mesonet reported lows of 45.1 F for Fulton County, 38.0 F for Graves County, 41.1 for Hopkins County, 42.7 F for Simpson County, and 39.6 F in Mercer County) for Sunday, May 12, 2013. None of these temperatures are low enough to severely damage wheat, but localized temperatures across fields may have been lower. damage symptoms. Photo taken in 2012. Usually, a week to ten days of warm, sunny weather is needed before the full extent of a freeze damage becomes evident. So, while we all want to scout fields today and tomorrow, a true assessment of freeze damage should not occur for about a week. Cool, cloudy days will slow wheat growth and slow the development of freeze symptoms. *Information in this table assumes timely rainfall events occurring after the freeze event.